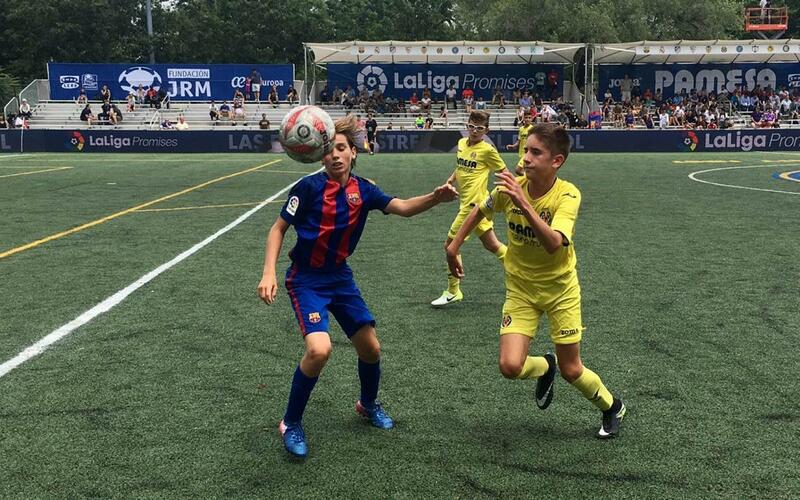 The International LaLiga Promises Tournament, won by the brilliant FC Barcelona U12s, showed the true talent of the club's youth teams. Iker Bravo features in the Top Five with three goals while Jan Molina accounts for the other two. Bravo's goals against Villarreal and Real Madrid start the countdown. Jan Molina, also against Madrid, comes in third just after Bravo's against Sevilla. First place however goes to Jan Molina's wonder goal against Valencia.